Pokročilá konstrukce jádra a dutin za použití kombinace modelovacích technik pro povrchy i tělesa. Na videu můžete také vidět ověření modelu pro analýzu návrhu, rozdělení dílců, rozšíření povrchu, rozdělení čela a konstrukce uzávěrů. VISI Mould provides the complete mould tool design solution based on industry specific automation that guides the user through the mould development process. Dynamic operation previews provide the designer with a 'real time' view of how component changes will affect the tool design. All areas of moulded component creation can benefit from the optimisation of mould tool design and moulding process parameters. 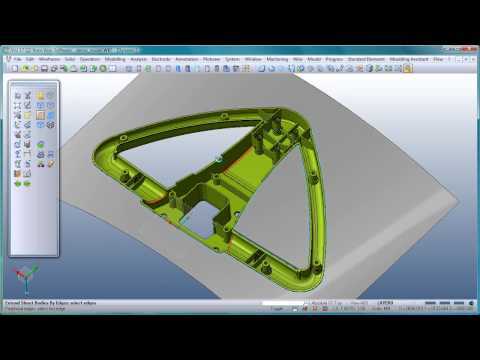 Part designers, mould makers and moulders will all benefit from using Vero's patented technology for injection simulation to achieve cost effective and reliable mould designs and the optimum moulding conditions. 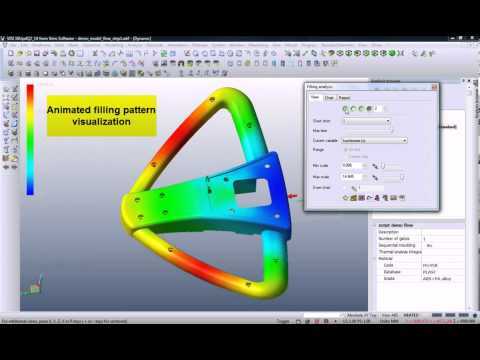 VISI Flow is a unique prediction tool, ideal for pre and post production analysis and concurrent engineering of injection moulded plastic components. VISI Electrode is an automated module for the creation and management of electrodes and their holders for the manufacture of detailed and hard to machine features on mould and press tools. Comprehensive holder design, simulation and collision checking ensures that the electrode will operate right first time. All areas of moulded component creation can benefit from the optimisation of mould tool design and moulding process parameters. 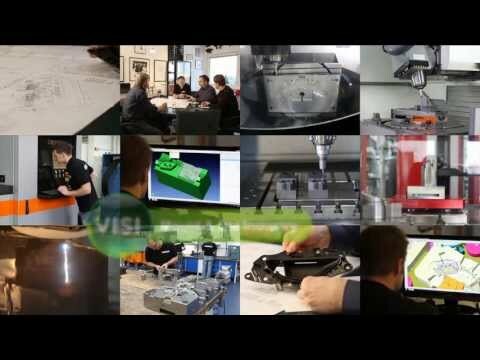 Part designers, mould makers and moulders will all benefit from using Vero's innovative technology for injection simulation to achieve cost effective and reliable mould designs and the optimum moulding conditions. VISI is able to manage mould tool assembly attributes based on user-defined layer structures or standard component relationships. Part list information is automatically created and can be exported as an external spreadsheet for downstream processes such as detailing and stock ordering. EDM electrode creation can be one of the most complex and time consuming projects for any mould or die maker. The VISI suite of products offer a solution at every point of the manufacturing process from design to manufacture. Even the most experienced electrode designer will benefit from the knowledge based automation provided by VISI Electrode. Při přípravě dat pro výrobu je často nutné vyplnit mezery na původním modelu. V prostředí těles je možné dynamicky upravovat model. U složitých 3D forem tento úkol často vyžaduje vysokou úroveň povrchových úprav. VISI Modelling využívá standardní jádro Parasolid® a poskytuje nástroje pro dynamickou úpravu modelů těles posunutím / odstraněním prvků, editací poloměrů drážek, přidáváním úkosu a hýbání čelem, bez nutnosti upravovat parametrické vazby nebo používat povrchové techniky. A very important application for the moulding industry. This tool graphically displays the model thickness using multiple algorithms providing valuable information for potential moulding issues such as material accumulation, gating positions, rib criteria and cooling channel locations. VISI Modelling is the foundation of all VISI products and provides a robust and powerful solid and surface modelling system based around the industry standard Parasolid® kernel. Combined with Vero's surface technology, model analysis and 2D design, VISI Modelling offers complete flexibility to construct, edit or repair the most complex 3D data. Modelování povrchů může být složitý úkol a základová geometrie, nebo pořadí výběru mohou mít dopad na výsledný povrch. "Automatická plocha" ve VISI zjednodušuje tento proces na pouhé jedno výběrové okno.